Cyclooxygenases (COXs) oxidize arachidonic acid to prostaglandin (PG) G2 and H2 followed by PG synthases that generates PGs and thromboxane (TX) A2. COXs are divided into COX-1 and COX-2. In the central nervous system, COX-1 is constitutively expressed in neurons, astrocytes, and microglial cells. COX-2 is upregulated in these cells under pathophysiological conditions. In hippocampal long-term potentiation, COX-2, PGE synthase, and PGE2 are induced in post-synaptic neurons. PGE2 acts pre-synaptic EP2 receptor, generates cAMP, stimulates protein kinase A, modulates voltage-dependent calcium channel, facilitates glutamatergic synaptic transmission, and potentiates long-term plasticity. PGD2, PGE2, and PGI2 exhibit neuroprotective effects via Gs-coupled DP1, EP2/EP4, and IP receptors, respectively. COX-2, PGD2, PGE2, PGF2α, and TXA2 are elevated in stroke. COX-2 inhibitors exhibit neuroprotective effects in vivo and in vitro models of stroke, Alzheimer’s disease, Parkinson’s disease, multiple sclerosis, amyotrophic lateral sclerosis, epilepsy, and schizophrenia, suggesting neurotoxicities of COX products. PGE2, PGF2α, and TXA2 can contribute to the neurodegeneration via EP1, FP, and TP receptors, respectively, which are coupled with Gq, stimulate phospholipase C and cleave phosphatidylinositol diphosphate to produce inositol triphosphate and diacylglycerol. Inositol triphosphate binds to inositol triphosphate receptor in endoplasmic reticulum, releases calcium, and results in increasing intracellular calcium concentrations. Diacylglycerol activates calcium-dependent protein kinases. PGE2 disrupts Ca2+ homeostasis by impairing Na+-Ca2+ exchange via EP1, resulting in the excess Ca2+ accumulation. Neither PGE2, PGF2α, nor TXA2 causes neuronal cell death by itself, suggesting that they might enhance the ischemia-induced neurodegeneration. Alternatively, PGE2 is non-enzymatically dehydrated to a cyclopentenone PGA2, which induces neuronal cell death. Although PGD2 induces neuronal apoptosis after a lag time, neither DP1 nor DP2 is involved in the neurotoxicity. As well as PGE2, PGD2 is non-enzymatically dehydrated to a cyclopentenone 15-deoxy-Δ12,14-PGJ2, which induces neuronal apoptosis without a lag time. However, neurotoxicities of these cyclopentenones are independent of their receptors. The COX-2 inhibitor inhibits both the anchorage-dependent and anchorage-independent growth of glioma cell lines regardless of COX-2 expression, suggesting that some COX-2-independent mechanisms underlie the antineoplastic effect of the inhibitor. PGE2 attenuates this antineoplastic effect, suggesting that the predominant mechanism is COX-dependent. COX-2 or EP1 inhibitors show anti-neoplastic effects. 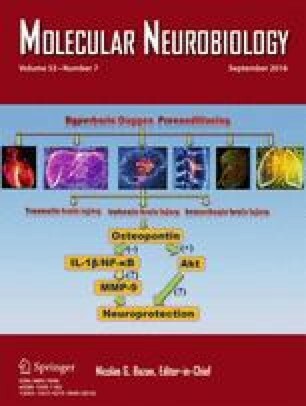 Thus, our review presents evidences for pathophysiological roles of cyclooxygenases and prostaglandins in the central nervous system.